Mini Hostas For That Small Space! Miniature hostas are perfect as border perennial plants or when you need to fill that small space in your rock garden. These miniature hostas are less than 8 inches tall. Are you looking for ideas on how to use miniature hostas? 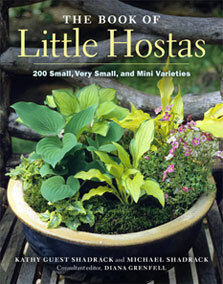 Read The Book of Little Hostas! We Ship Stress Free Beautiful Miniature Hosta Plants! We grow our hostas and companion plants in their containers for a full season so your hosta plant is ready to flourish in your garden from the day it arrives. We guarantee that your "shipped in pots" mini hostas will be stress-free & easy to plant!